A Little Girl Asked Google to Give Her Dad a Day Off. Here's What Happened Next !! | Do You Know? 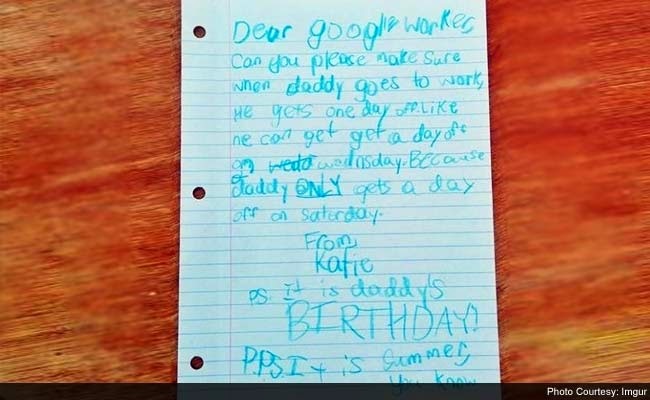 A Little Girl Asked Google to Give Her Dad a Day Off. Here's What Happened Next !! It isn't even close to Christmas but Google just pulled a Santa. This interaction between a little girl requesting time off for daddy and Google will restore your faith in internet. 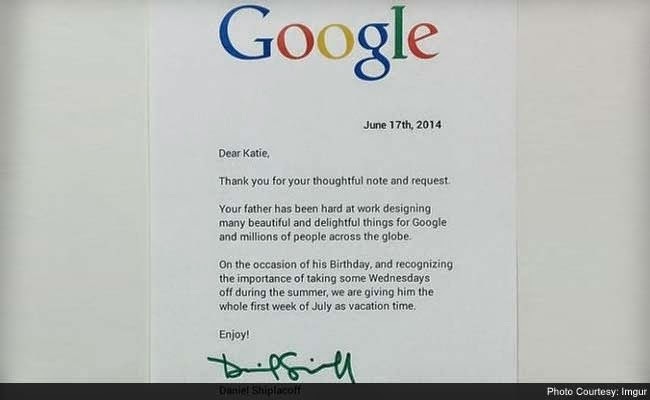 Little Katie wrote a letter to Google to get her father, who works as a designer at Google, an extra day off. Stating in her letter that he only gets a Saturday off every week Katie went on to explain how it was her father's birthday and also summer time. Can you please make sure when daddy gets to work, he gets one day off. Like he can get a day off on Wednesday. Because daddy ONLY gets a day off on Saturday. PS. It is daddy's BIRTHDAY! Isn't this enough to just melt anyone's heart? This is what happened next. Like we said, faith in the internet, restored.